Hi everyone! Kathy here! 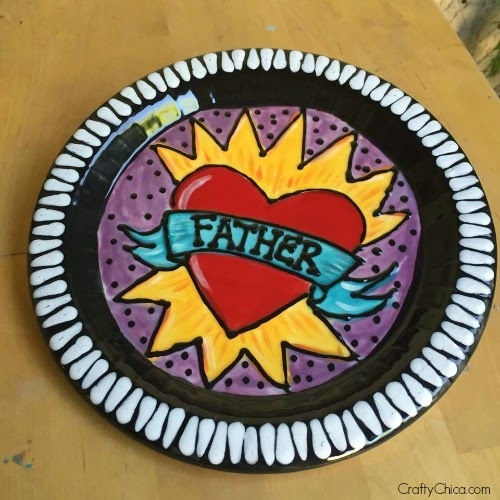 Today I have a really fun paint-on-pottery project that is perfect for Father's Day! 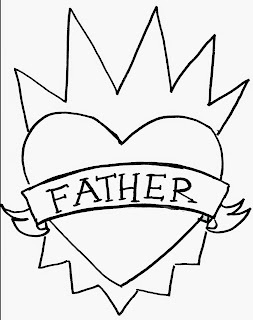 It's a fun one for the kids to make for Dad! Here's how I made it and the story of WHY I made it! 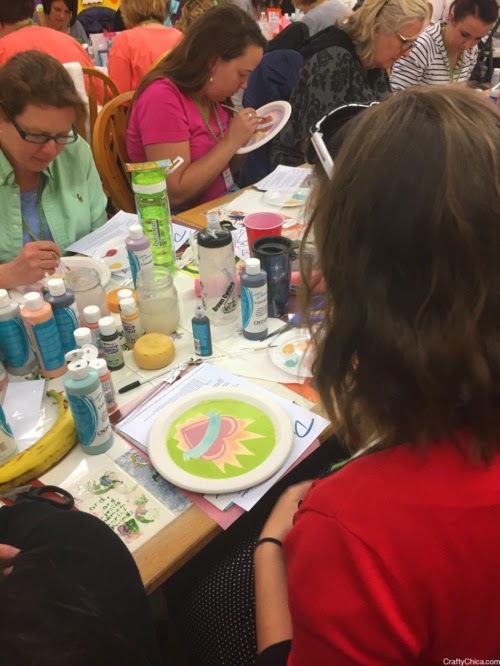 Last month I was invited to teach this Duncan Ceramic Arts class to 50 studio owners as part of the Cates sister Kansas Mini-Convention! The sister, Robin and Julie, own an adorable studio called On The Pot and they host this creative gathering every year. 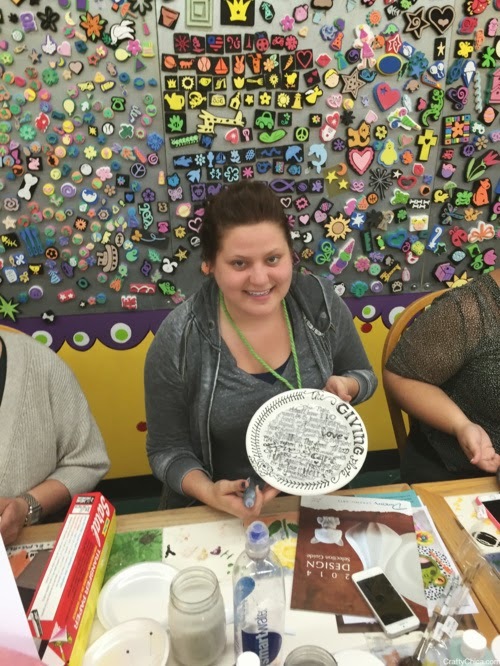 I was super nervous because their whole lives are painting pottery and I crossed my fingers they would like my project! Success, not only did they like it, but I feel like I gained 50 new friends! 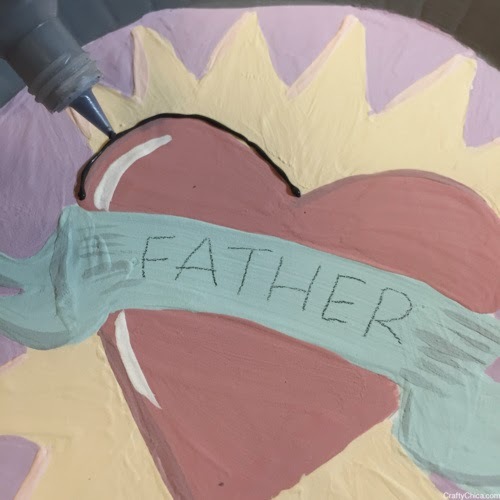 So here are the directions so you can go to your local paint-your-own-pottery studio and make this Father's Day plate! 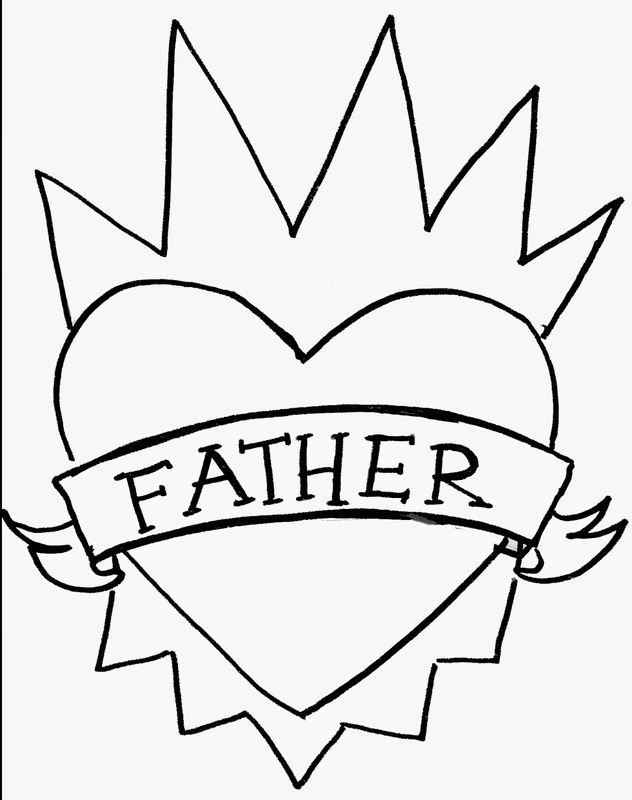 Father’s Day is coming up, which means it’s time to find the perfect gift for dad. 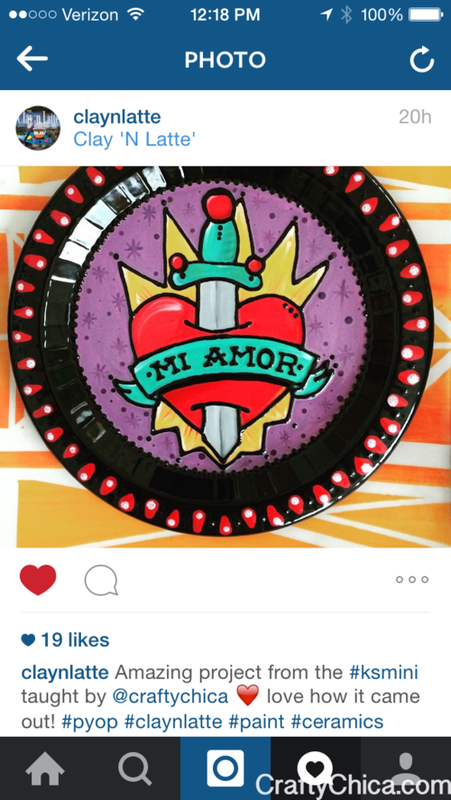 How about a colorful plate, handmade by you? 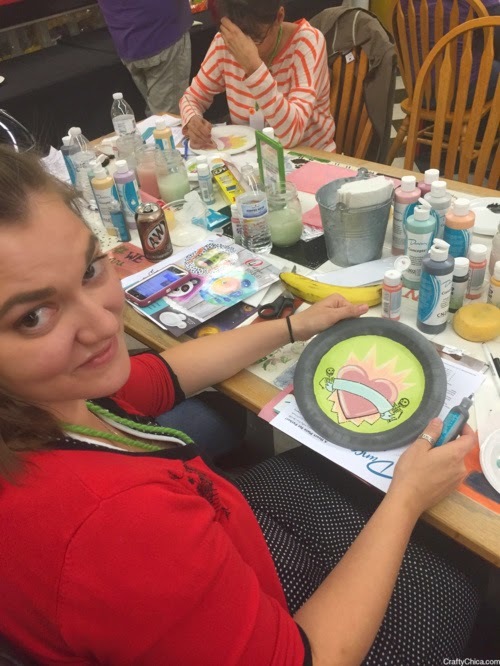 This project uses the new Duncan bisque Classic Paper Plate, and our Concepts Underglazes - plus a lot of imagination from you! Wipe bisque with damp sponge to remove any dust. 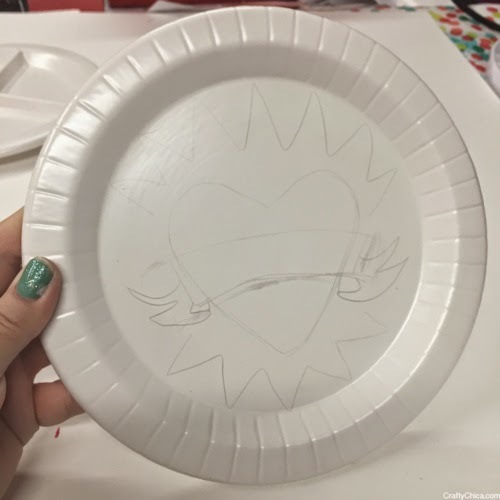 Use template, clay carbon paper and pencil to transfer image to the center of the plate. 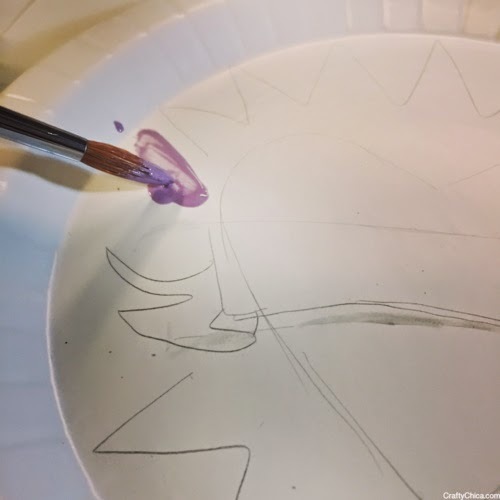 Fill in designs with desired colors, three coats, let dry between each coat. Outline the designs with black French Dimensions. 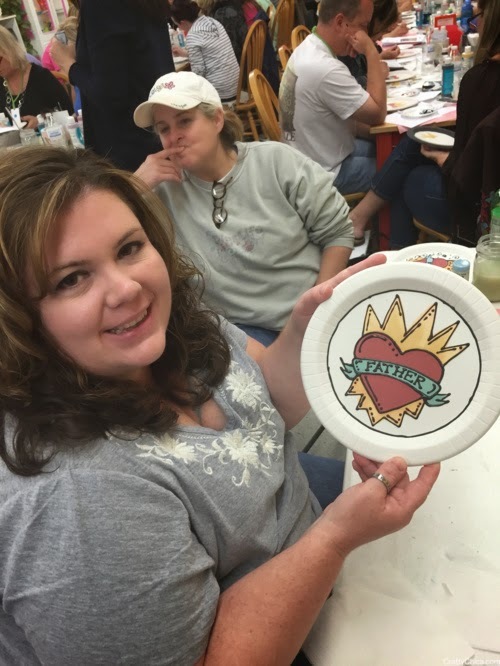 Paint the back of the plate with three coats of Duncan concepts, as well as the box, inside and out. Let dry completely and add two-three layers of Duncan Pure Brilliance Clear Glaze. Let dry and fire at Cone 06. 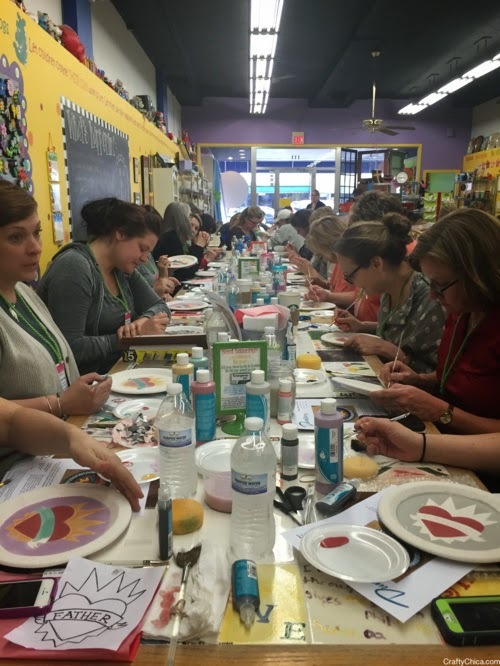 Here are some pictures from my class. i love how everyone did their own version, they were all so creative!